Mark Roche honored for "Why Choose the Liberal Arts?" 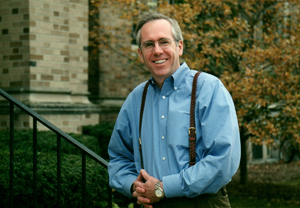 Mark Roche, formerly dean of the College of Arts and Letters at the University of Notre Dame, has been named winner of the 2011 Frederic W. Ness Book Award from the Association of American Colleges and Universities (AAC&U). The Ness award is given annually to the book that best illuminates the goals and practices of a contemporary liberal education. 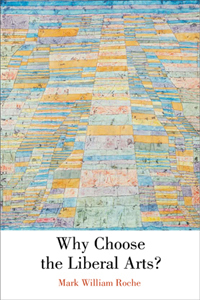 Roche’s winning book, “Why Choose the Liberal Arts?” (University of Notre Dame Press, 2010), “outlines the benefits of a liberal education for all students striving for success in today’s tough economy,” says Pomona College President David W. Oxtoby, the Ness Book Award committee chair. The prize was presented on Jan. 26 at the AAC&U’s annual meeting in Washington, D.C.
Roche is the author of seven books, including “Why Literature Matters in the 21st Century” and “The Intellectual Appeal of Catholicism and the Idea of a Catholic University.” He also served as dean of Notre Dame’s College of Arts and Letters from 1997 to 2008. Originally published by Kate Cohorst at al.nd.edu on January 26, 2012.